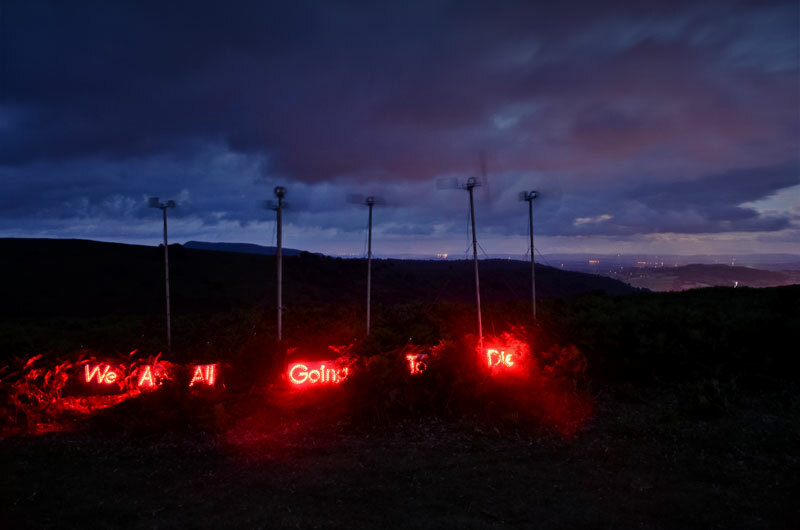 The Nihilists is a series of outdoor installations which generate electricity in order to illuminate their futility. 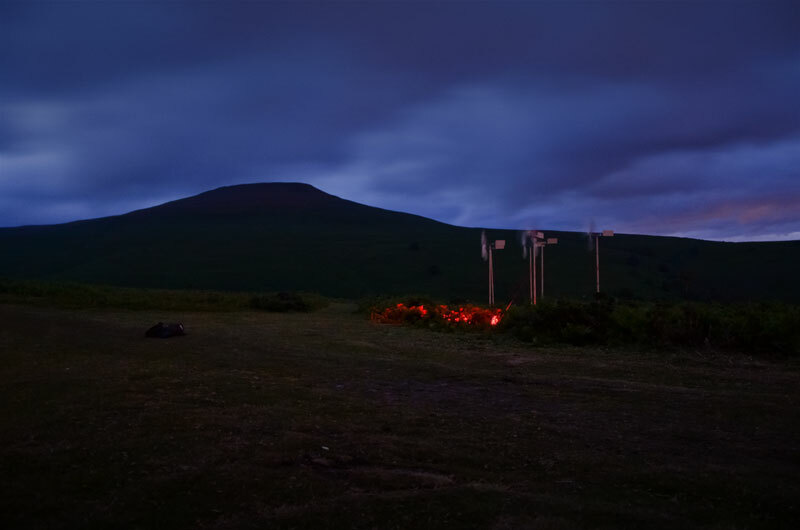 The work was premiered at a one day event which took place at dusk on Saturday 16th July, 2011, on the Sugar Loaf mountain near Abergavenny, South Wales. a group of handmade wind turbines which live on a hill. At dusk the electricity generated by the turbines illuminates a sign. The message pulses as the wind picks up. in a gully nearby a solitary water turbine straddles a stream. The turbine powers a sign. The sign is both a homage to Malcolm Mclaren and a flow guage – a visual display of the stream’s rate of flow. This event was made possible with the generous support of The National Trust and was developed with funding from Powys County Council’s Chance to Create Scheme. Video and Photographic documentation by Nic Finch. The video above comprises Team Sports performance, and footage of the water turbine piece.